Posting pictures of your cat to the internet may seem like one of the most innocuous (and fun) things to do. But did you know that doing so can give away the location of your feline and, by extension, you too? Even if you are aware of that, you may not realize exactly what can be done with that data. Owen Mundy, an assistant professor at Florida State University, is filling in the gap by using the example of cat pictures to show what metadata in images can reveal about us. Munday’s project — I Know Where Your Cat Lives — shows one million randomly selected images that include the word “cat” across a range of public photo sites, including Flickr and Instagram. 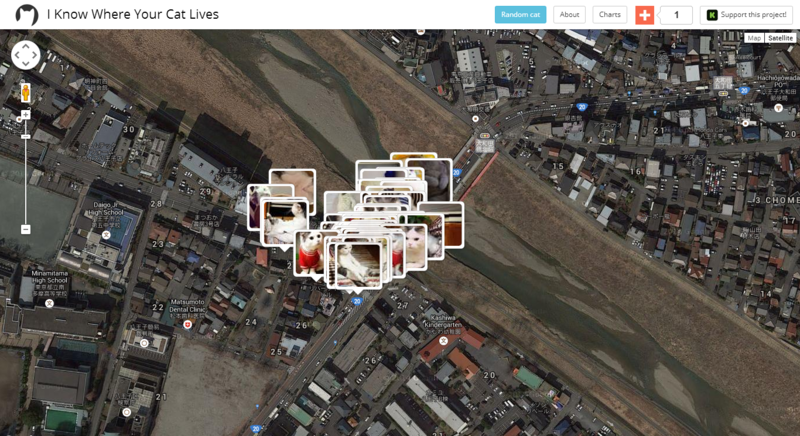 The site plots the location coordinates from each photo (which are automatically added when an image is taken) against a map to show where each cat lives. It may seem frivolous and fun, but the site serves as an important reminder for us all. Any photo, be it of a cat, dog, ourselves, our children or other family members, can be traced using the metadata inside the image, unless you take steps to remove it. As we’ve said before, location data is a risk, for one thing it can help you get robbed. Mundy and his team are looking to cover the costs of the initiative via Kickstarter, where I Know Where Your Cat Lives is listed and seeking to raise $2,500. The project has received just $409 in pledges so far, and has a further 17 days to reach its target.